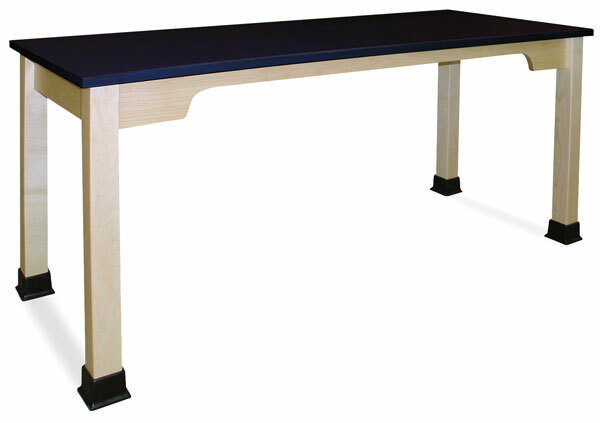 The scalloped apron of this table allows for a full 27" clearance, making it compliant with the ADA (Americans with Disabilities Act). Adjustable glides ensure that the work surface is stable. Tables are constructed of solid wood. Assembly is required. ™ Hann is a trademark.® Chemsurf is a registered trademark.